What comes to mind when you hear the word menstruation, or period? For most women it is a sign of inconvenience and an overall unpleasant experience.It is something we have to hide and something we've been trying to avoid . There are multiple pills and products that promise to stop this process or make it almost invisible. And still, many women are reminded monthly about their period and experience discomfort, pain, bloating, anxiety and multitude of other symptoms , before and during their menstruation. Research shows that fifty percent of women in the US experience some form of PMS symptoms every month. There are no two women alike and what is normal for some is not for others. Some women normally have heavier or lighter periods. If heavier periods are not accompanied by other symptoms like exhaustion, extreme pain, or dark clotted blood, it can be considered normal. The same goes for light periods. If a woman has always had light periods, and has no other symptoms, or fertility problems, then those light periods are considered absolutely normal. In my own research on this topic, I found that there are three definite factors which affect our monthly cycles - food, stress, and our perception of what menstruation is. 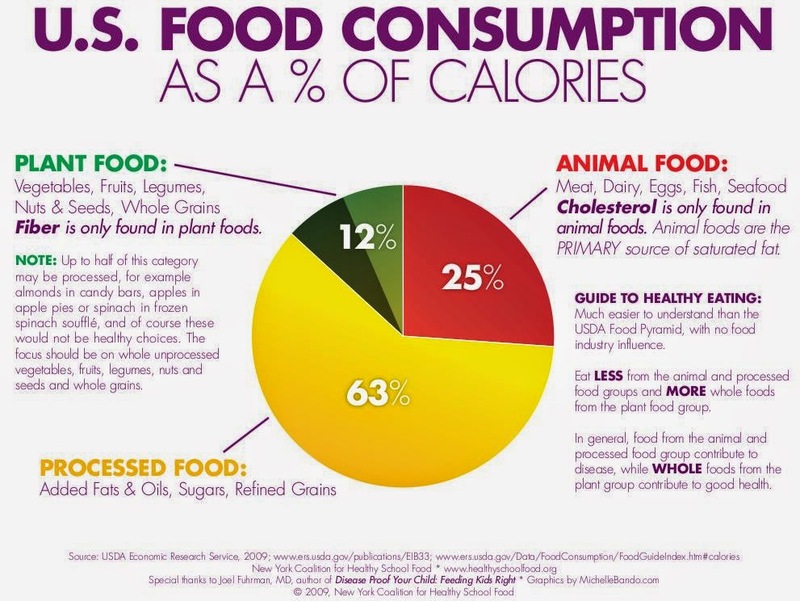 The modern American diet relies heavily on refined sugars and grains. Food is processed and stripped of nutrients. 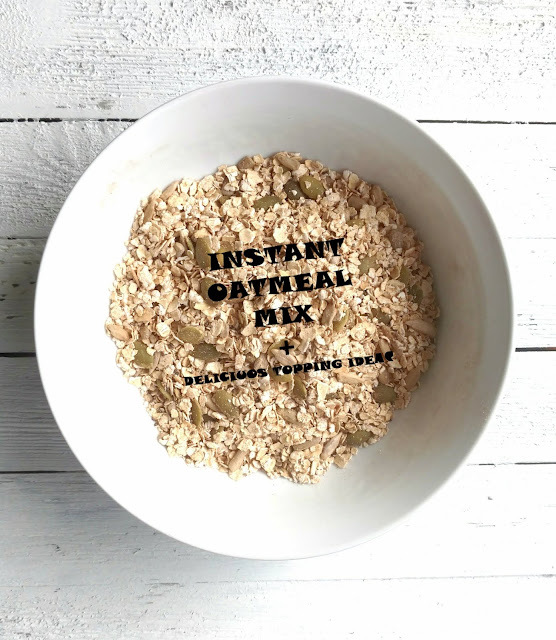 It often lacks enough fiber, phyto chemicals and important micro nutrients. This form of diet is not suitable for our organisms but is the perfect food for some type of bacteria in our bodies, like candida and H.Pylori, that thrive on sugar. Women who have problem menstruation often have gut imbalances and gut problems. How are the two connected you might wonder? Balanced gut flora plays an important role in processing excess estrogen in the body. Excess estrogen is often responsible for symptoms like cramps, pain during menstruation, heavy flow, and even conditions like endometriosis, which causes the tissue that normally lines that uterus to grow in other parts of the body. So, with unbalanced gut flora, our bodies are unable to process this excess estrogen, our liver and our endocrine organs are being overloaded with toxins and unable to do their job right. Unfortunately, the Standard American Diet also plays part in bringing some of this extra estrogen and other hormone disruptors into our bodies. Plastics, over-processed soy, pesticide residue in our produce, growth hormones and antibiotics in our meats - all this can play a significant role in the proper function of our organs. Don't forget that our bodies are an interconnected whole systems. No organ runs on its own and everything that we put in our bodies affects all of our systems. So how can we correct some of the problems, or maybe all of them, by eating the appropriate foods? I recently listened to a lecture by Dr David Katz , who did some research on the optimal diet for humans, and after looking into all of today's trends and their claims ( like vegan, paleo, Atkins, raw, vegetarian, etc), he got to the conclusion that the optimal diet for us can be defined like this: " Eat real food, not too much, mostly plants." . I love this! It is so straight forward and really can not be simpler than that. So make your sides a main meal, and your meat a side dish, if you want to consume any at all. Eat lots of colorful vegetables, dark leafy greens , vibrant with life, and add some responsibly raised meats, ideally grass fed and pasture raised. Use healthy fats like coconut oil, and foods rich in those precious fats , like avocados, raw walnuts, and seeds. Herbalist Rosemary Gladstar, in her fabulous book "Herbal Healing for Women", recommends incorporating seaweed in the diet of any women that experiences problem menstruation. Seaweed can be incorporated in your food or taken as a supplement, and it plays an important role in balancing those tricky hormones. STRESS is another factor which causes imbalance in our bodies. Even though we have more conveniences than our ancestors, the stress in our everyday life has increased dramatically. The self imposed stress to be and look a certain way, to accomplish everything in as little time as possible, the lack of sleep. It all piles up and affects are bodies. Sleep deprivation causes hormonal imbalance and catching up on sleep on the weekend will not make up for stressing our systems the rest of the time. So the best thing you can do is to find your natural rhythm. Get between 7 - 9 hours of sleep each night. Go to bed early and sleep in complete darkness, so your body can have the time to repair and restore itself. Practice relaxation techniques like meditation and gentle yoga. Journal or use your creative force and do crafts. This is not part of herbalism, but managing our emotional stress is a wonderful medicine that helps us bring our physical bodies back in balance. THE IMAGE OF MENSTRUATION is the third important factor I think plays a role in how we feel during this time of the month, I really love to use the term "moon time" instead of menstruation or cycle. It brings me back to a more ancient time when women were powerful and revered as mysterious in their ability to create life . We are part of nature and its cycles. Our bodies have the unique ability to cleanse and renew themselves. Moon time is time of renewal and rebirth. It should not be viewed as a burden or as unclean. Nature gives us this chance to rest and recharge. In ancient times, menstruating women will often go to a place outside of their normal lives and homes, during their time of the month. Other women will bring them food and cater to their needs, since this was a time of rest and renewal. We are so busy in our modern lives, trying to be mothers and exceptional professionals, that we often forget we are women above all. We forget about our needs and our strengths, which can also be our biggest weaknesses. Making lifestyle changes will not remove pain and bloating overnight. It will take at least a couple of months for your body to adjust, detox and re-balance. Fortunately, this is where some useful herbs come in handy. They will support this process of re-calibration of the body and will help ease up the symptoms of PMS , or regulate menstrual flow. If you are like me , and have a regular period with moderate flow, and occasionally experience bloating or breast tenderness, or maybe you experience milder PMS symptoms every month, there are a few common herbs that can help you when this time of the month comes around. I like to make a mix of nettles, red raspberry leaf and peppermint. It is a wonderful tonic tea. It supplies the body with easily absorbed calcium, which is important for a regular menstrual flow, and it strengthens the uterus. Peppermint helps relieve any mild cramping or pain. I like to take this tea about a week before my period starts, but if you have consistent symptoms every month, you can consume it on a daily basis as a nourishing infusion. I also like to put some maca powder in my smoothies anytime I make one. It adds a wonderful caramel flavor and it is very nourishing to a woman's reproductive system. Vitex agnus ( or chaste berry) is becoming more and more popular in American herbalism. It has a stimulating effect on the pituitary gland, which helps to regulate hormone function. It helps produce hormones that enhance the progesterone cycle and thus balance out the estrogen cycle. It is a good herb for acute conditions, which means it will quickly act and help with pain and menstrual irregularities. It is also safe to take for long period of time , and herbalist Rosemary Gladstar suggests that women with endometriosis take this herb for up to a year to relieve their symptoms. Another wonderful herb ,which is specifically used for the reproductive system, is Viburnum Opulus. Commonly known as Cramp bark, it is a very effective uterine nervine. 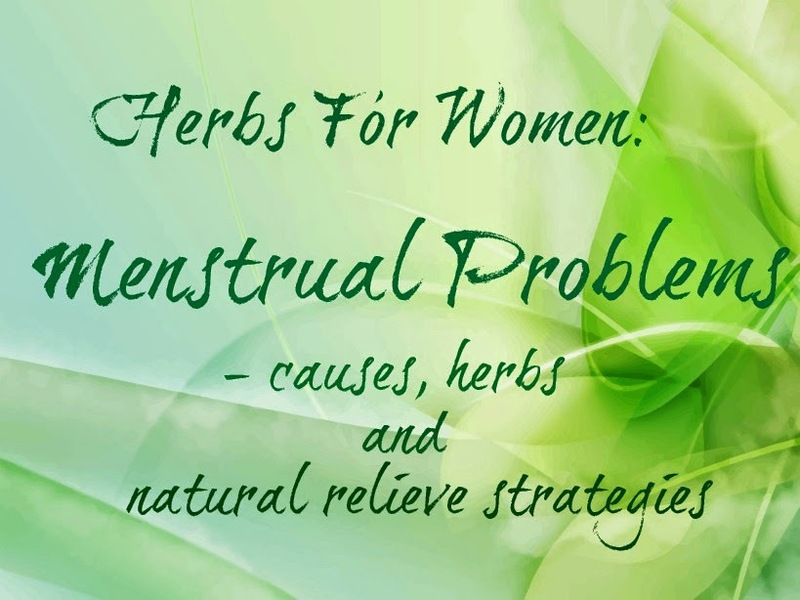 It is the best herb to take for cramps, as it relaxes the uterine muscle and relieves the pain. It has a high tannin content , which helps with excessive bleeding. Cramp bark is a good acute herb, but it can be taken for longer periods of time , with no known side effects. It is a good herb for women , who are just starting menopause and have excessive bleeding due to unbalanced hormones. Have you used any of the herbs mentioned above? How do you deal with any discomforts of your moon time? Share with us! And during your next moon time, if possible, take at least one day of rest, and rejoice in the wonders of being a woman!